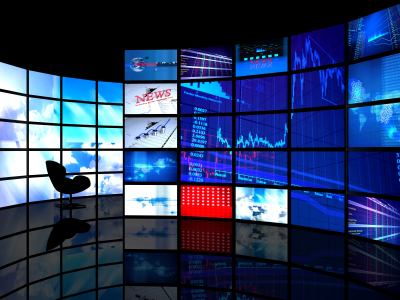 You may be aware that different media types such as video and film have different frame rates. But did you know that even within video, there are several “native” frame rates and the same is true for film. 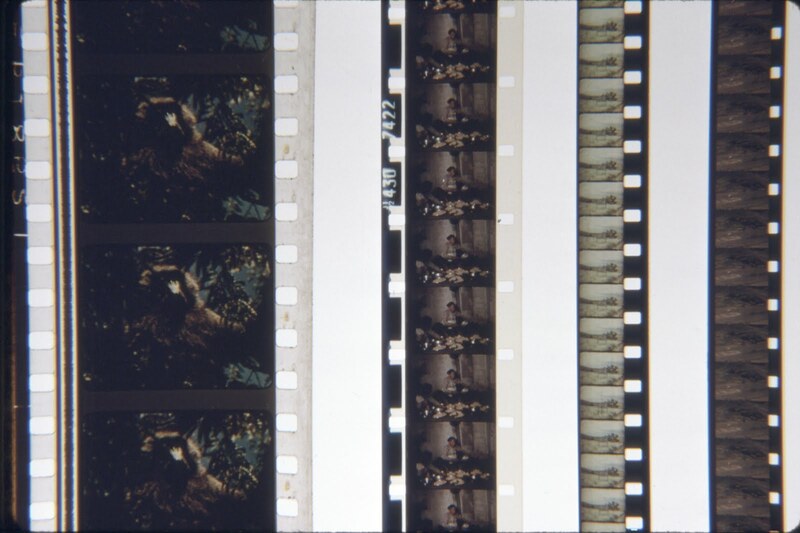 For instance, 8mm film is generally 16FPS (frames per second) and Super8 tends to be 18FPS. These slower frame rates give a very cool, old time look that some people really like. Of course now days, these frame rates have all but disappeared. Old school cameras that shoot on VHS and Hi8 formats tend to be 29.97FPS and motion pictures shot on film tend to be 24FPS. 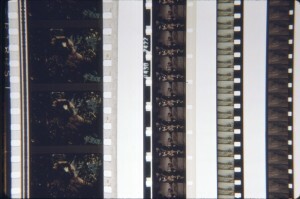 Some other video formats have a frame rate of 23.98 to approximate the film look. Of course the recent addition of the Hobbit to the Peter Jackson cannon of work has now shown us 48FPS. Anybody notice? European formats known as PAL have a frame rate of 25FPS. To the trained eye, film has it’s own look and video does as well. We’re also seeing 50FPS and 60FPS which tend to be interlaced formats. But what does this all mean to you? It’s really just a little background info for the curious customer. The human eye is actually able to perceive 10 to 12 separate images per second. For more information, please feel free to contact us. A good number of people are aware that we edit demo reels but did you know that we also produce them? We have worked with several actors as well as large companies who need video production services. We handle everything from shooting to editing to DVD duplication and file uploads to the web. You could say we’re a one stop media shop with a highly qualified production team. What is a Print Label Template? It’s the graphic or text design that we can print directly onto your CD, DVD or Blu ray disc. Many of my customers have asked if we print a label and then stick it in. This is actually not the process we use. We purchase high quality inkjet printable discs. That means that we print right onto the white surface like it was paper. This allows us to streamline the duplication process. Could you image how tedious it might be to try and stick these stickers onto each an every disc with precision so that it’s right there in the middle? Also, I have heard from many people that these types of discs which become heavier with the stick coating will not play or will get stuck in their player. That sounds less than ideal. We can pretty much print anything onto this surface. That means any image or text that you like. If you want a really pro look, I recommend designing something in Photoshop. 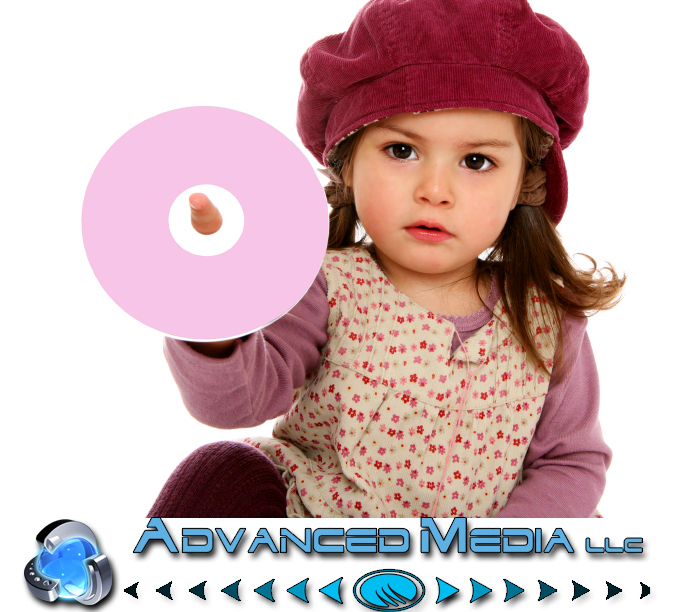 You can look online for a DVD template so you get the circular shape right. If you decide to go this route, do not create the center hole or hub because it’s just easier for me to do with precision without the hole because you may get the diameter wrong and have to redo it. That beings said, you have the option for very high quality color prints or even thermal prints which are a bit shinier and more durable where water is concerned. Ink does have that Achilles heal. Also, the thermal prints are only available for 50 + copies because creating the template is a little more involved and time consuming. Feel free to contact us with any questions you might have here. Thanks for reading. I wanted to address a question that comes up quite often at Advanced Media. 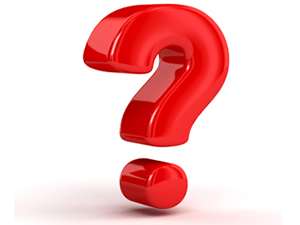 This is the questions of how we care for your tapes when they are not in your hands. We know that your tapes are precious, one of a kind family heirlooms and we treat them as such. Every tape is given the utmost care. I treat them as I would treat my own media. So rest assured, your footage is in good hands. Clients can also request that we store their media in a temperature controlled vault if it’s extra sensitive. Normally everything is stored on our shelves in the order that the job came in so I can keep track of exactly what job is expected to be done at what time. I do try to meet all deadlines. From time to time, I can be a little off if I am overwhelmed but generally I really do make most deadlines. So let me know if it’s really time sensitive. We’ll try to accommodate your special needs because we believe in service with a personal touch. We’re here to provide a service as well as to educate you about any of the processes that we go through so don’t be afraid to ask questions. Don’t worry if you think you’re not tech savvy. We will never laugh at you if you don’t understand something because we are patient and understanding. Just remember, we were all just like you at some point. Nobody is born with a knowledge of computers and technology. It has to be taught and each battle is hard fought. Some learn more easily than others but everybody deserves to be treated with respect and understanding. Thanks for reading and click here for contact info. I transfer a ton of tapes, every day and often I come across tapes that aren’t labeled. They’ve been sitting in a garage for 20 years and nobody knows what’s on them. Sometimes people come to me with a whole box of ancient tape without a clue what’s on it and we go through each tape to find out if it’s worth transferring. I can help people with this for free if it’s just a couple of tapes but if you have a whole box, it’s going to cost you my hourly rate which is $60 with a half hour minimum. Other, more courageous customers just hand over the goods and ask me to transfer it all, whatever is there, be it TV shows from the 80’s or home movies and vacation videos. There is another type of customer as well who comes in with a detailed list of his or her collection of video. The names of each tape is listed as well as running time and the number of coppies they want. It pays to be organized. Perhaps it’s a bit of an overkill to actually write it all out but I find the thing that’s most important to label on your tape is the date. Put the date down and the people on the video. It will save you so much time and energy if you ever want to find it. So for all of you mini DV camcorder family documentarians, do yourself a favor. Label it. After all, these precious images may be all that we have as time passes and these events and people and places leave our lives. To contact us, please click this link. 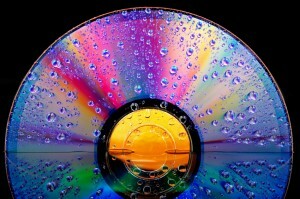 I transfer a lot of tape to disc, meaning DVD and even audio cassette to CD. I also make copies of those discs with printed, professional looking labels for your enjoyment or profit. I’ve made a lot of friends doing this kind of work. Movie people, comics, actors, directors, musicians, poets all come into the shop. Some just need a transfer. But the regulars build up a rapport and I feel very good about the relationships I’ve built with people over the last 4 years I’ve been with the company. Being that it’s nearly Halloween, I figure I’d write a little piece about Phantom Power, the ghoulishly invisible power that helps your external hard drive operate without wires. It works by siphoning off power like a vampire from the computer itself. Have you ever wondered why you can just plug your thumb drive into the USB port on your computer and it will light up and function without an electrical source? This too is the phantom power. Also, any drive that does not require a plug is also operating off of this type of power, now ubiquitous in this modern age. For more info on hard drives please enjoy reading my series. Also, if you have a subject you want to know about that may pertain to my part of the world, please let me know and I will do my best to address it in a timely manner. Thank you and good night. I am off. 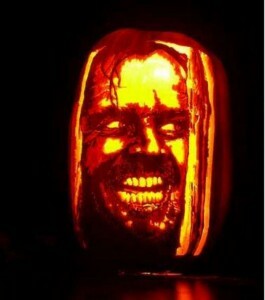 I have jack-o-lanterns to carve. I get a lot of questions about pricing and I wanted to write something about how it works. It’s not always very cut and dry. Larger jobs require more thought because we give discounts for volume. Even if you have as few tapes as 10, we give 10% off. If you have 20 or more tapes, we give now give 15% off. However, some price points are very simple to give. For instance, VHS to DVD transfers cost $16 for tapes under 2 hours. 2-4 hour tapes are $25. 4-6 hour tapes (yes, they exist!) are $35. That’s because each DVD has a maximum length of 2 hours in order to preserve quality. I could record an 8 hour DVD of your material and fit it all on one DVD but then you’d have some very blurry faces and nobody wants that. I get this questions a lot. “Okay, my tape is half an hour, how much is that?” Well, it’s under 2 hours, right? So you get the picture. I also do a lot of DVD duplications, short runs and larger runs, even replication. So if you have a DVD and you want copies, this is how much they will run you, 1-5 discs is $5/disc. 4-20 discs is $4/disc. I hope that this is helpful. We don’t really have a comprehensive price sheet. It’s complicated. I can also give pricing for audio cassette tapes. 60 minute tapes are $20 and 90 minute tapes are $25. 90 minute tapes require two CDs because a CD only holds about 80 minutes worth of audio. We also do specialty tape formats like Hi8, Video 8 and mini DV to DVD transfers. These are all $25/tape. HDV is $35 to DVD. And we can go to file with all of these formats as well. Any further questions about pricing? Please click on the word “here” or call this number. (323) 469-0707 Thanks for reading. 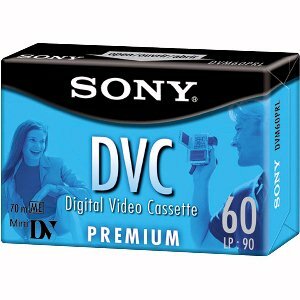 The important thing to know about this kind of conversion is that there are two main types of DV tapes, HD and SD. That is High Definition and Standard Definition. Why is this important you may be wondering? Because the format determines which deck is used in the conversion as well as how much it’s going to cost you. HD transfers to DVD cost $10 extra. The only way to know if you have HD is if you know some information about the camera used to produce the tape. HD cameras shoot HD footage. So while your tape my say it’s HD, if an SD camera was used, it would produce SD footage. DV is considered a specialty format, so even though these tapes are generally 63 minutes max, the cost is $25/tape. We do offer discounts for volume. 10% off for 10 or more tapes. We can also make a 2nd batch of copies for $4/disc, so you can send them out to family and friends. On top of that we can also go to file as well if you want to edit your footage to get the maximum effect. Many people now carry little “flash” aka thumb drives on their key chain. 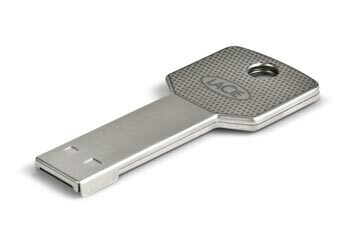 I myself have a little Lacie drive that even looks like a key with a hole allowing it to fit on my key ring. These are perfect for storing documents, pictures or even little movie files. The longer a movie is will have an effect on the file size and thus it will be the deciding factor of whether or not it will fit on your flash. Even these drives are getting smaller and smaller and holding more and more space. Also, they’re relatively inexpensive and quite handy for transporting files. I use mine if I’m transferring a file that’s too large for email to a computer that is not connected to my office network. Also, when clients come in with artwork for DVDs and CDs they generally bring a thumb drive with the PSD or JPG so I can situate the image on top of the disc when creating a Print Label Template. The only limitation these drives have is that they won’t generally hold larger files. However, newer thumb drives are able to hold larger files because the hard drives are being made with 16, 32 and even 64GBs of space. So for this modern world, you’ll require a key to the computer world. That would be your flash. Wield it wisely my friends.